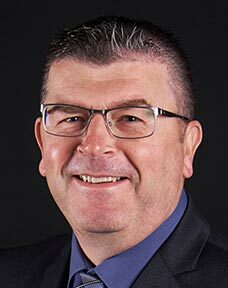 Established in 1983, BEW Electrical Distributors Ltd. are members of Fegime UK, a buying group that gives us the ability to combine our core company values with the purchasing power of a conglomerate. This means that you, our customer, can enjoy the personal service and attention that characterises a family owned business, whilst benefitting from the competitive pricing of a much larger organisation. For first class service, quality products and competitive prices, make BEW your first stop for electrical supplies. 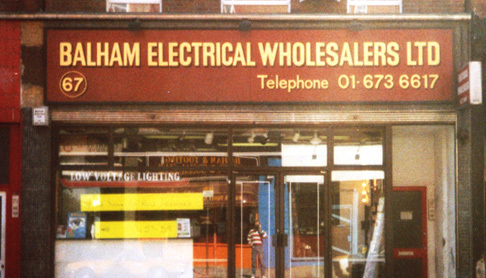 Since our first store opened its doors on Balham High Road over 30 years ago, BEW has grown to be a major player in the UK electrical market. Now with 20 stores across the country, our unbeatable service has made us a firm favourite with electricians and suppliers across the UK. 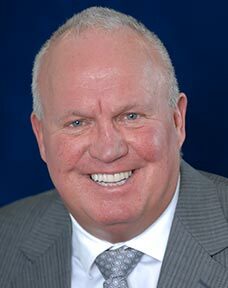 BEW has remained a family owned and operated business since friends Phil Webb and Ron Locker opened the first BEW in 1983. 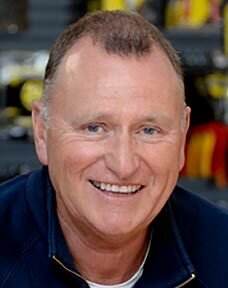 For over 30 years, our core values and commitment to our customers have seen us develop into one of the country's leading electrical wholesalers. 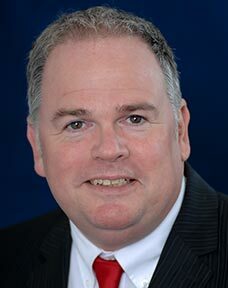 We continue to build on our strong reputation within the industry and remain dedicated to enhancing and developing BEW for future generations. Quickly outgrowing our original premises on Balham High Road, we moved to another larger location in Balham, before purchasing an additional warehouse in Kimber Road, Wandsworth. This became BEW's second branch and, within a few years, our reputation led us to open new branches further afield. 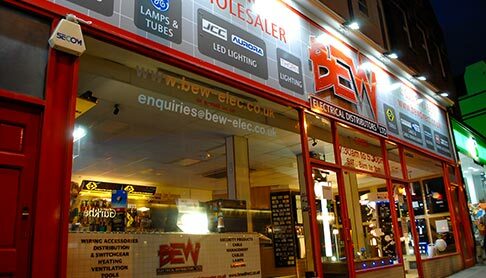 BEW now have 20 stores across the UK, stretching from Telford to Orpington. The secret to our success is simple. We've given our customers what they wanted; quality proprietary products, competitive prices and a great all round service. BEW are proud to be one of the largest members of Fegime UK (formerly AED) which is the oldest buying group in the UK. 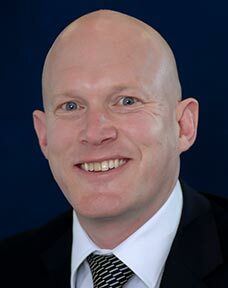 The consortium currently has thirty members with over 100 branches nationwide which includes some of the biggest names in the wholesaling world. Membership of a pan-European association gives members access to data and information from 15 countries including Russia. 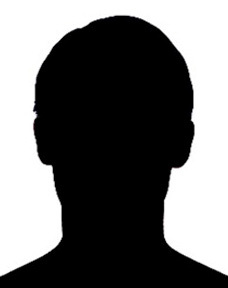 The consortium is owned by the members for the members and has a reputation second to none in the industry. BEW trade counters are second to none. 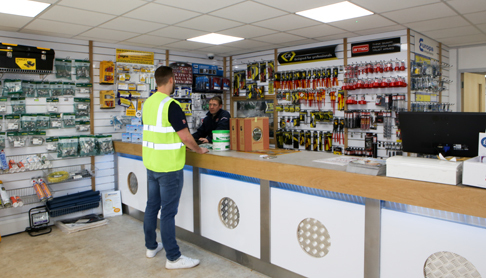 Our branches supply everything you'd need from an electrical wholesaler, with dedicated and experienced teams on hand to make sure that you get the products you need at the right price. With next day delivery and a series of Link Vans to further improve stock availability, getting the supplies you need has never been simpler. Where others have de-stocked, BEW have invested to bring a wide range of stock from a huge variety of brands to our customers across the UK. 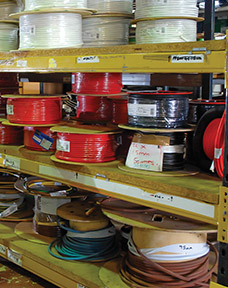 Our warehouses and branches feature key franchises of proprietary brands, including Electrak, MK, Crabtree, NEST, Schneider (Merlin Gerin), Prysmian Cable, Eaton (MEM), Concord, Aurora, Wylex, Philips, Hager, Marshall Tufflex and Vent Axia. Thanks to our three daily Link Vans, all our branches have access to this extended range of stock and any product can be available in-branch within 24 hours. Our branches are open from either 7.00 am or 7.30 am every weekday. 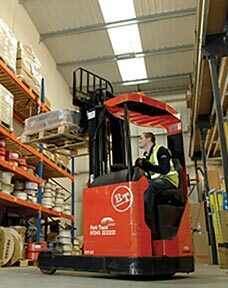 Ensuring that our customers can get the products they need, when they need them, is a key part of BEW's service. 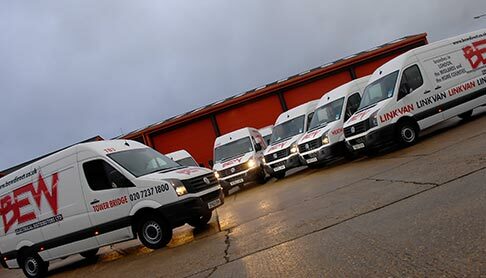 Our fleet of 68 vans can deliver to London, the Midlands, East Anglia and the Home Counties free of charge, with no minimum order value, while orders for collection can be picked up from any branch within the network. We have worked to build a community at BEW, with local events such as Trade Mornings, Open Days and Trade Calibration Days. With product demonstrations from key BEW brands available on site, the events are a great way to help you get to grips with the latest technology the industry has to offer. Branch managers regularly invite suppliers to visit stores for product training, to keep our trade counter teams up-to-date on all the latest industry developments. 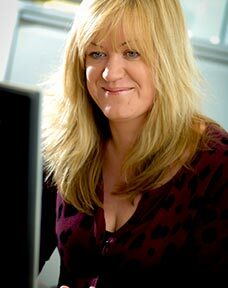 Our award-winning service has led to rapid growth for BEW. 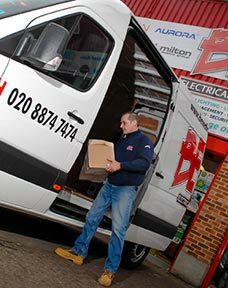 From a single store in Balham, BEW has grown to occupy 20 branches across the UK, serving electricians in Essex, Hampshire, Cambridgeshire, West Sussex, Surrey, Kent, Middlesex, Berkshire, London, Warwickshire and the Midlands. Impact Lighting, BEW's dedicated lighting website, was launched to meet customer demand in the ever changing lighting market. The site now houses over 5000 lighting products, including LEDs, low energy solutions, halogens, indoor and outdoor lighting. With detailed specifications on all products, it's easy to find the right product for your requirements. Impact Lighting offers the very best in quality lighting products. We supply great value lighting from the most popular brands in the business. Our interior and exterior lighting range includes products from Aurora, JCC and Astro, all brands known for their innovative designs and high quality products. Whether, you're looking for commercial or domestic lighting solutions, we have all the components you need to create an impact. All our lighting products are available to order online and we offer quick delivery throughout the UK. 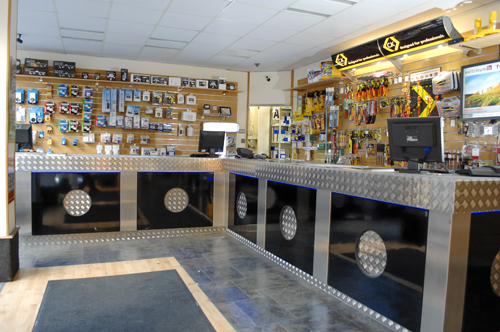 Our highly trained staff are always on hand, in-store or online, to advise you on your installation. As a member of Fegime UK, BEW can offer top quality products from some of the industry's most prestigious manufacturers, but this doesn't restrict us from sourcing products outside our usual list of suppliers. Just contact your local BEW branch and one of our friendly, knowledgeable staff will be able to assist you. 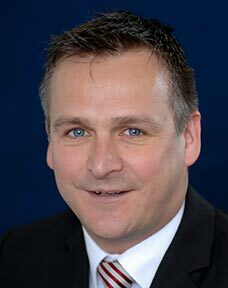 Our relationship with our clients is what has made us a leading UK wholesaler. Take a look at what our existing customers have to say about us. 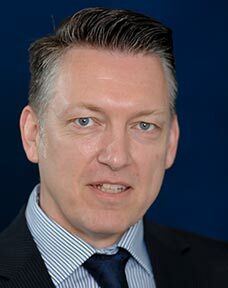 "BEW have been a highly respected and key strategic partner to JCC for the last 20 years. Your courteous, proactive and forward thinking management team have shared JCC's vision throughout the lighting evolution from Halogen through to LED and you use your strong website and marketing support to great effect and for the mutual benefit of both parties"
"BEW are the best electrical wholesaler I deal with and I have been dealing with them for over 20 years"
"The reason the Laser Group use the services of BEW is because in this demanding industry we need a company that can deliver both service and price and with BEW we found this is achieved"
Managing Director, Laser Electrical Services Ltd.
"I have dealt with BEW ever since it opened, over 30 years ago and what makes them unique is their willingness to inform you not only when the goods arrive on site, but if things aren't arriving when they actually will"
As one of the largest and longest-standing members of Fegime UK, Britain's oldest electrical wholesale buying consortium, BEW are able to compete with the emerging dominance of the Nationals while still offering a personal service. It's our blend of corporate buying power and family values that makes our wholesale network second to none. 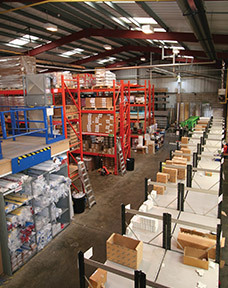 Our ongoing commitment to increasing warehouse capacity throughout our branch network allows us to maintain excellent stock levels of all of our fast moving product lines, keeping them readily available to all our customers. 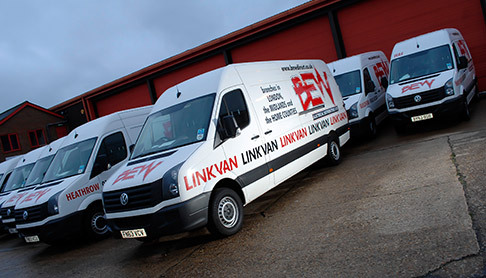 Regular Link Vans run between all of our stores, making an ever wider range of stock available in branch within 24 hours. 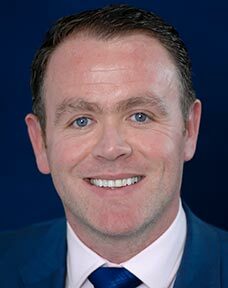 We have experienced account managers at each branch ready to offer advice, supply competitive quotations and source products. A dedicated account manager is available to offer support from order through to completion, whether it's a one off order or a long running project. Every BEW account holder has a central account that can be accessed from any branch, making the same terms available wherever your work might take you. Your nominated parent branch will assign a team member to take care of your account and deal personally with any issues or queries that might arise. Experienced in the various disciplines within Facilities BEW can offer help and advice to create a workable infrastructure for any project. Whether for office blocks, schools, hospitals, hotels or shopping complexes, we can work with you to find the perfect solution. 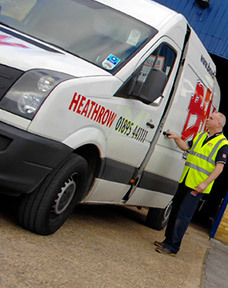 Same or next day delivery is available within the UK, thanks to our fleet of over 50 vehicles. All our vans are equipped with tracking devices, enabling us to detect the location of your delivery at any time. 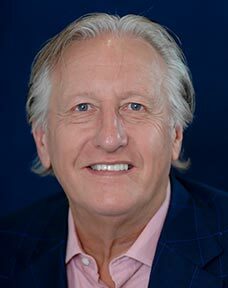 A family run business since 1983, all of the directors are still fully involved in BEW's day-to-day operations and many are based at our Head Office in Chelmsford, Essex. If you'd like to get in touch with any part of the BEW team, please see the contact details below or drop in to your local BEW trade counter.